Tour Description: Belterra Casino Overnighter. Staying right at the Casino hotel! With a new itinerary to get even more in incentives than ever! Spend 1 night at Belterra’s beautiful casino hotel with visits to Hollywood Casino in Lawrenceburg & Rising Star Casino. Receive a breakfast buffet, dinner buffet, $60 in free play & luggage handling. Once you visit this gorgeous hotel you will want to come back again and again. Casino Description: At Belterra Casino Resort, you’ll find over 1,100 of the most fun and exciting slot machines, complete with denominations from $0.01 to $100, Video Poker, and two High-Limit slot rooms. We are also excited to offer a non-smoking section for guests wishing to gamble in a smoke-free atmosphere. Be sure to also check back often to see our featured slots below. 1 Visit to Hollywood Casino in Lawrenceburg – Receive $15 in slot play & $5 in food. 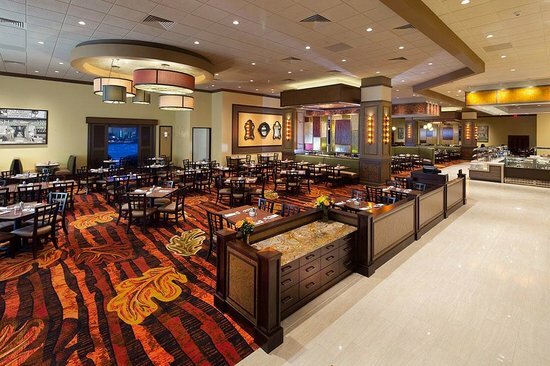 1 Visit Rising Star Casino – Receive $20 in coin & $5 in food. Receive a total $55 in casino incentives Plus 1 Dinner and 1 Breakfast voucher. 5:30pm Arrive at Belterra. A greeter will meet you on the Motorcoach. and a voucher for dinner & breakfast (Gratuity NOT included). Evening is at your leisure. Enjoy your dinner voucher. Please have everyone place their luggage by hotel door at 8:30 for pick up. Enjoy the casino until departure. Receive $15 in slot play & $5 in food.